When it comes to eating in the backcountry, I try to mirror my day-to-day eating habits as closely as possible. After all, changing things up just because I'm away from home can have all sorts of less-than-ideal effects on my digestion and how I feel. With Trailfork's Day Supply, you fill out a survey detailing everything from where you're going to how long your trip is, the distance you plan to cover, dietary preferences, allergies, and your trip dates. From there, the Trailfork team customizes a breakfast, lunch, and dinner collection and ships it to you, taking all the guesswork out of trip meal preparation. 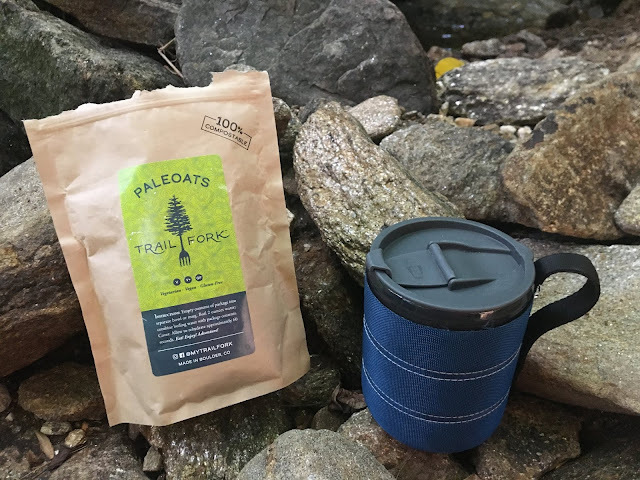 But if you're not up for committing to having someone else pick out your meals for you, Trailfork has individually packaged options you can mix and match, including Paleoats. So, what are Paleoats? 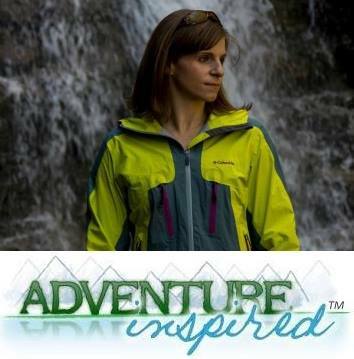 The grain free, vegan recipe was one of Trailfork's first and was developed in preparation for a trip to Yosemite. The name suggest it's an oatmeal substitute, but it's not oatmeal at all; after one look at the nutrition information and ingredients, that's abundantly clear. One bag holds 520 calories, 41g fat, 28g carbohydrates, and 14g protein, which is significantly different from the packets of oatmeal I typically carry on backpacking trips. On a normal day at home, I shoot for 140-150g protein, 180-200g carbohydrates, and 60-70g fat. 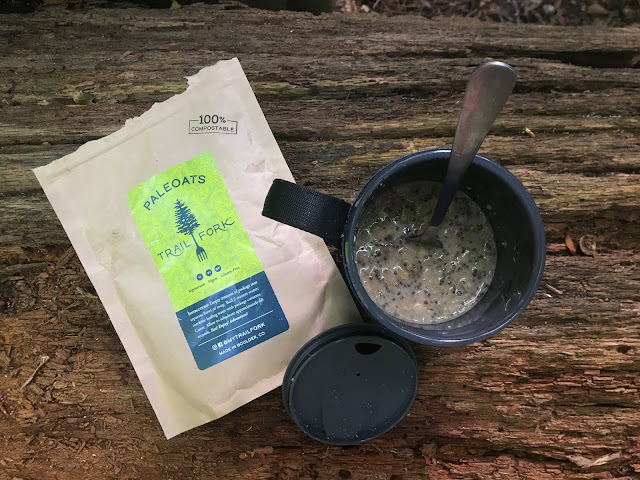 Though the Paleoats fat content is 58-68% of what I eat on a normal day, I need more energy on a long backpacking trip than I would on a normal day. I also like to feel more full so I'm not compelled to stop as often and snack, making the higher fat content appealing. The carbohydrate content is similar to what you'll find in a packet of oatmeal, but the protein content is higher. It's not as high as I'd normally shoot for; my meals at home are typically 30-40g protein, so I'd have to make up for that during lunch, dinner, or by snacking. So, how do you make Paleoats and how do they taste? Preparation is simple, add 2oz boiling water to the mixture in a separate cup and let rehydrate for a minute, but you do need to have a separate container to make them in, just like a standard packet of oatmeal. I always have my GSI mug on trips, so this wasn't an issue. Plus, the packaging is 100% compostable. The texture is similar to oatmeal, but chunky and crunchy. The banana chips add subtle sweetness, and I liked having to chew more than I have to with standard oatmeal. The meal kept me full for hours, which wasn't a surprise due to the high fat content. What's your favorite trail breakfast? Think this option would work for you? As a member of GravityFed, I received a complimentary Paleoats sample to test. As always, all opinions expressed here are my own.